Getting a mini camera, or dash cam for your car is just a smart choice these days. In fact, some manufacturers are even offering this as a standard option (for example, BMW’s Advanced Car Eye). 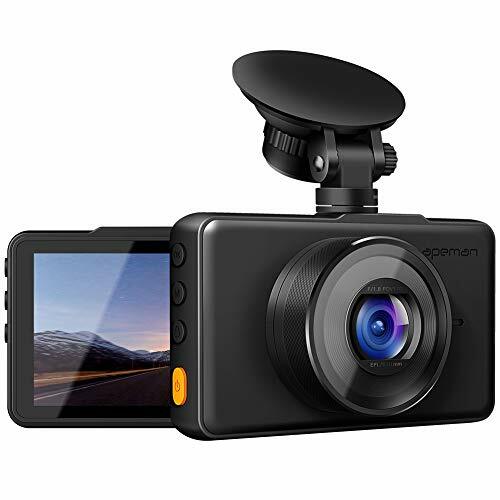 There are a ton of benefits to having a mini cam for your car, including evidence in case you get into an accident, as a way to combat road rage because nobody likes to be recorded displaying bad behaviour. You may also want to use it if you own a taxi company or have teenage children who drive your car to make sure they’re doing so safely. Police offers use them all the time as well to back up their reports. Or, they can be useful at preventing insurance fraud. Did you really hit that person in the crosswalk, or did they run into your car when you were completely stopped? A dash cam can provide some irrefutable evidence in these kinds of cases. What is a Mini Car Camera? So, what is a dash cam? Basically, it’s a small camera that is put on your car’s dashboard/windscreen. Then, it records everything happening ahead of you. You may also want a camera that records what’s happening behind you as well. What about a Spy Camera for Cars? Some of them are obvious to any observer and can be plainly seen. However, there are other spy cameras for cars that are less obvious. These button cameras, or mini cameras are so small and blend into the background that they may not be noticed unless someone is doing some counter-surveillance. Which ones do we recommend? We’ve done the hard work and put all these cameras through their paces. The result? Recommendations for the top car cameras and spy dash cams for your money. Keep on reading to see your top picks. Our overall winner for the best dash cam is this one from APEMAN. It’s a top-quality car camera with a ton of features that you’ll love. The best part? It’s super easy to set up and get running, perfect for your first one. It you don’t need a spy camera, but just want something that does the job, this may be your best bet. It has a large, 3 inch screen that allows you to easily move the menu options. It’s robust, and capable of doing a lot of things for such a small, affordable package. Keep on reading to learn more about why we like it so much. If you’re looking for something that’s small, and will likely be unnoticeable to most people, then consider this car spy camera. It’s discrete, works well and also comes in at a very reasonable price. Because it doesn’t run on Wi-Fi (records to an SD card), it’s ideal for the car. It just does its thing, and if you have a problem, you can go back through the footage to see what happened. You should be able to get it set up in just a few minutes. Basically, just set and forget. Next up on our list is one of the most expensive options. But, in addition to a camera that you place on your dash, you also get one for the rear of your car. This can be very useful in case you get rear-ended, or it can also catch vandalism or theft happening around the trunk of your car. Although it’s not a spy camera for your car, it is quite small and discrete. The average person walking by your car won’t really notice it unless they look very closely. 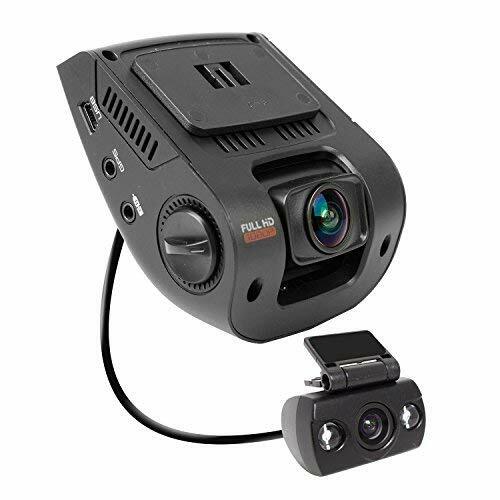 Keep on reading to find out more about this top-quality car camera. One of the highest end options is this one from Garmin. The 2 inch screen allows for instant playback, and it also has high-qualtiy video that records the time and location data. Along with the smartphone app and a ton of extra features like forward collision and lane departure warnings, it’s an obvious winner. Keep on reading to learn more about it here. What Factors Should I Consider When Buying a Mini Cam Camera? There are a number of things you should consider when buying a camera for your car. Here are a few of the most important ones. This should definitely be your top consideration. Most cameras have HD 1080P recording capabilities. This means that the image will be sharp, clear and will provide adequate footage to the police or insurance company should you get into an accident. 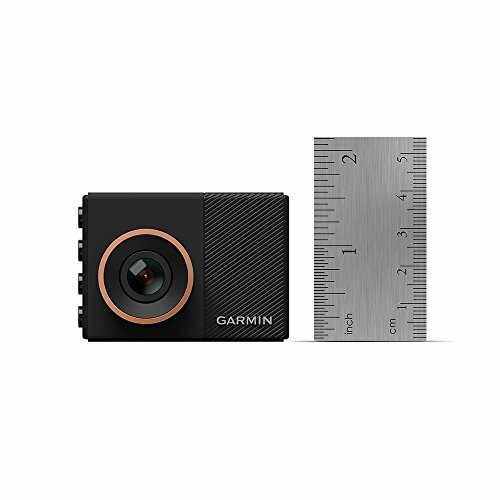 The Garmin Dash Cam that we’ve reviewed here offers 1440P, a cut above their competition. These days, most spy cameras and dash cams offer top-notch lenses, even at the lower end so there’s no excuse to settle for something less than this. Some people may only require a front-facing camera, while others may want a rear-facing camera as well. Having both cameras increases the cost, but it may be worth it to you to have this. You may want a spy camera for your car that’s small, discrete and unnoticeable. This could be a nice solution if you have frequent incidents of vandalism in your neighbourhood for example. Most mini car cameras don’t come with an included memory card. You’ll have to provide your own. However, where they do differ is what capacity they can handle. This ranges from 28 GB to 256 GB or even more. Obviously, the higher the better so that you have more footage at your disposal. The way it works is that these things record on a loop. Once the memory card is full, it automatically starts to delete old footage to replace it with newer stuff. Most mini cameras have a motion sensor of some kind. This is very useful because you really only need footage when something in going on, not all the time. However, only some of the higher end cameras have night vision. For both night vision and motion detection, quality varies widely. The top of the line cameras are excellent in most cases, while the cheaper ones barely work at all in some cases! What’s your top pick for a dash cam, or a spy cam for cars? Leave a comment below and let us know what you think.